People everywhere want to know one thing: Is the price of bitcoin going up or down? 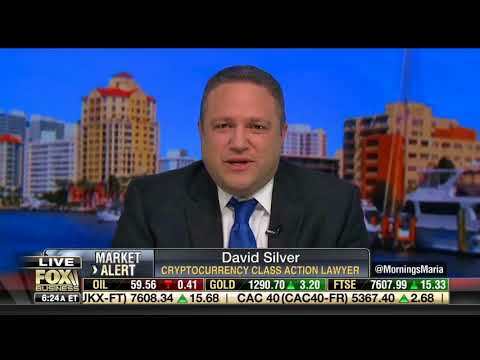 Watch David Silver, Founder of Silver Miller​, on FOX Business​ Network's "Morning with Maria" discuss his thoughts on the value of bitcoin. Watch David Silver, Founder of Silver Miller, and Jason Freeman of The Wall Street Journal discuss how Wall Street values different U.S.-based cryptocurrency exchanges like Coinbase and Kraken. FOX Business​ Network asked David Silver, Founder of Silver Miller, what his cryptocurrency-defrauded clients are suing for when they pursue lawsuits against the digital exchanges and ICO promoters who have harmed them. Watch the following video to hear his answer. FOX Business​ Network asks David Silver, Founder of Silver Miller, what the biggest threat to bitcoin investors is. While most people would think the wild fluctuations in price would be the biggest threat, they would be wrong.